Here are 3 service packages to help you save even more money!
? Check all brakes - make sure they aren't dragging - even a small degree of drag can cut fuel economy by 30% or more!
? 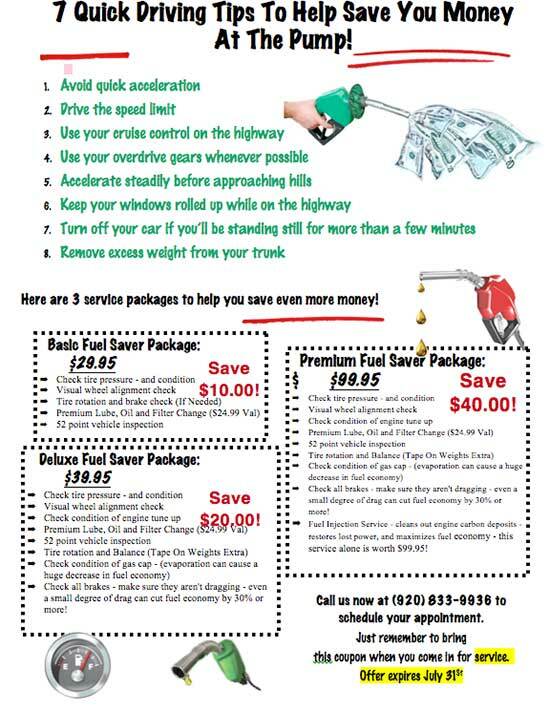 Fuel Injection Service - cleans out engine carbon deposits - restores lost power, and maximizes fuel economy - this service alone is worth $99.95! Call us now at (920) 833-9936 to schedule your appointment. Just remember to bring this coupon when you come in for service.